Type 1 diabetes is a discouraging disease. Despite the availability of synthetic insulin and increasingly sophisticated monitoring technology, it’s still a condition that requires incessant vigilance: Diabetics must constantly track their blood sugar levels and carefully use that information to calibrate drug doses. Even if you manage to do all of that well, bad days remain almost inevitable. Take too much insulin, and you can spiral into a hypoglycemic delirium. Take too little, and your glucose levels will rise, filling the body with dangerous levels of ketones. Less immediately frustrating—but no less familiar for diabetics—is the state of diabetes research. Possible cures routinely pop up only to fade from view, their benefits never quite surpassing the simple efficacy of an insulin injection. More recently, though, the field of synthetic biology—a hybrid discipline that aims to construct or redesign biological components and systems—has shown the potential to produce a novel set of treatments. The solutions remain speculative, but they do offer cautious reasons for hope. I had originally called Glass, a synthetic biologist with the J. Craig Venter Institute, in the hopes of better understanding how his burgeoning field was contributing to the search for a cure. I’d been drawn to the topic through a seemingly promising synthetic biology study led by researchers at ETH Zurich and East China Normal University. I came away from our call fascinated instead by the promise of new research that Glass himself has recently begun to pursue. He believes it might be possible to re-engineer the genomes of skin bacteria in ways that would allow them to perform some of the functions that diabetics’ bodies no longer can. Whether or not that ultimately works, it exemplifies the promise of synthetic biology to provide a way around problems that have long been insurmountable for researchers. My own interest in this topic is far from academic. I’m a type 1 diabetic, and I read the study I called Glass about—dauntingly titled “ß-Cell–Mimetic Designer Cells Provide Closed-Loop Glycemic Control”—from a hospital bed where I’d regained consciousness after a sudden and unexpected seizure, likely brought on by a low blood sugar episode. Though my own condition is generally well-managed, I can’t help but long for a better way. To understand the promise of the “Closed Loop” paper, you first have to understand what Type 1 diabetes entails. At core, it’s an autoimmune disease, one that results from a biological glitch that leads the body to attack the insulin-producing beta cells of its own pancreas. Beta cells—the “ß-cells” of the paper’s title—serve two primary functions in a healthy organism: First, they detect blood glucose levels within the body. 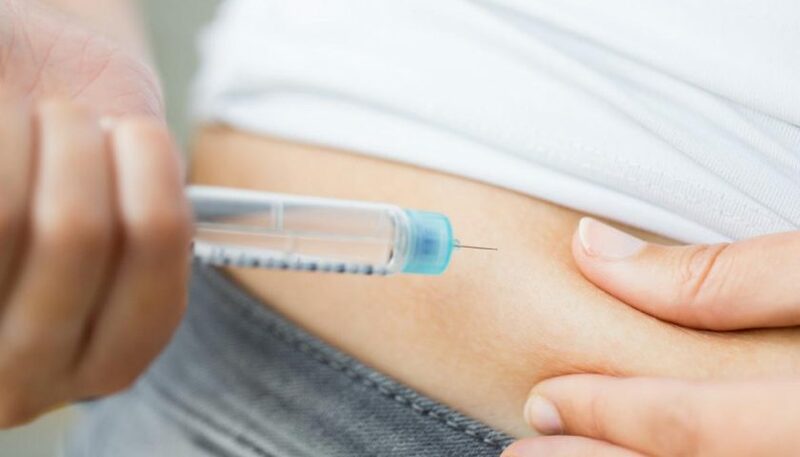 Second, when those levels begin to rise, the cells secrete insulin. The diabetic autoimmune assault kills off the beta cells, leaving the body with no way to process the carbohydrates it consumes. In essence, the researchers behind this paper sought to re-engineer human embryonic kidney cells to mimic the functions of the pancreatic beta cells (the “mimetic” of the paper’s title) that immune systems of those with diabetes destroy. They then implanted these designer cells into diabetic mice, where, according to the paper, they successfully and autonomously stabilized their host’s blood sugar levels. It’s the autonomous, or “closed loop,” quality that’s most exciting here—offering the potential to stabilize the body without regular injections and blood sugar checks. True closed-loops recreate the healthy body’s natural processes, much as these modified kidney cells seem to do by automatically distributing insulin in response to blood sugar fluctuations. Such systems have long been the holy grail for diabetic researchers, since they would allow diabetics to go about their lives—eating and exercising as they wanted—without having to check glucose readings and juggle dosing regimens. Medical technologists have long been at work on devices that would achieve similar results by more mechanical means: MedTronic recently received FDA approval for what it calls a “closed loop” combination of a digital glucose sensor and an insulin pump that it plans to roll out later this year. It’s a potentially powerful device, but it still demands substantial involvement from the user, who must feed it information about carbohydrate intake, regularly recalibrate the sensor, and, of course, attach the sensors and insulin pump to their body. By comparison, synthetic biology promises a truly hands-off solution, one that would—at least in theory—simply work. I don’t want to overstate things here. While projects working to synthesize replacements for beta cells are impressive (and have produced exciting results elsewhere), they still exhibit a fundamental problem: the diabetic body’s seemingly irreversible autoimmune response. Because the mimetic replacements resemble natural beta cells, the immune system still recognizes them as targets and eventually kills them off. Even if they work under experimental conditions for a few weeks, their effectiveness fades in time, as Glass and other researchers explained to me. It’s not immediately obvious how or if the new research would overcome that hurdle, and the researchers did not respond to requests for comment. Chad Cowan, director of the diabetes program at the Harvard Stem Cell Institute, told me that the issue has been extremely difficult to resolve. “Over the course of the last two years, we’ve … tried to talk to every immunologist and every person who works on autoimmunity, particularly if they have any focus on type 1 diabetes,” he said. “Our overall assessment is that there isn’t an easy solution, at least in terms of modulating the immune system.” Various attempts to work around the immune system’s response, he said, haven’t done more than slightly ameliorate the disease in experimental mice or clinical trials. A Californian company called ViaCyte thinks it has found a possible solution, sheathing cells in what it calls “a retrievable and immune-protective encapsulation medical device.” But the results of that approach remain uncertain. It’s here that the real promise of Glass’ proposal reveals itself: He thinks he’s found a workaround for the autoimmune problem, one that would allow the body to autonomously produce insulin as needed and without risk of disruption. Glass’ own professional involvement in the field began a few years ago when Alberto Hayek, a diabetes researcher and emeritus professor from University of California–San Diego, reached out. Hayek was curious about a project Glass had worked on in 2010, in which JCVI had created a fully synthetic bacterial organism. Wondering if the same techniques might be applicable elsewhere, Hayek called Glass’ attention to the work of one of his UCSD colleagues, a dermatologist named Richard Gallo, who discovered a beneficial bacteria living deep in the layers of our skin that seem to be overlooked by the immune system. Would it be possible—Glass says Hayek wondered—to harvest and modify these microbes so that they function like beta cells. Instead of making new beta cells, which the body would simply reject, they would be taking something that the body still accepts and lead it to act like a beta cell. It seemed feasible to Glass. The idea is that he’d introduce new features to the bacteria, genetically re-engineering them so that they’d be able to perform the feats that diabetics’ bodies no longer can. He might, as he explained to me, be able to “take those cells from any given person [and] put in the machinery that would allow those cells now to sense blood glucose, there in and amongst the capillaries that are in our skin.” And since the immune system usually passes over these particular microbes, it might just let the newly engineered cells go about their business. Further, he said, “We also know that if you put bacteria on your skin, they very quickly make it into the deep layers,” meaning it could potentially be delivered via a nonintrusive application, such as personalized skin cream. At present, Glass’ work is still in its earliest stages. He and his colleagues at JCVI are currently seeking funding to conduct experiments in mice. He also freely acknowledges that the re-engineered microbes might not work in practice. For one, bacteria aren’t great at building the structures that constitute insulin, which means Glass and his team would have to get them to produce an experimental variant. Then, of course, there are the safety concerns: They need to build a kill switch into the engineered bacteria, lest they start producing dangerously excessive amounts of the hormone. On top of that, it’s also unclear how many microbes they would need to apply and whether they can make enough to do the job. It’s even possible, Cowan said, that the T-cells in some diabetics would attack the modified insulin. As any longtime diabetic will tell you, the most likely outcome is that we simply won’t see results soon, if ever. Even when you have a good, workable idea, the process of medical science tends to be slow: According to Cowan, it took 15 years just to get from the idea of making beta cells out of stem cells to actually producing them. Nevertheless, Glass’ enthusiasm—both for synthetic biology’s broader role in diabetes research and for his own work in the field—is infectious. “When I first got into science, I used to go to seminars about trying to solve diabetes. And I found them so depressing. I was convinced I was not going to live to be 30,” he says. He’s survived—as have I and so many other diabetics—thanks to powerful, but largely incremental steps forward in medical technology. Now, he thinks, he may be ready to help us make a larger leap.